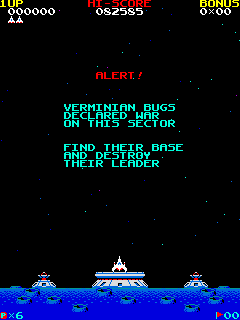 Verminian bugs declared war on this sector. 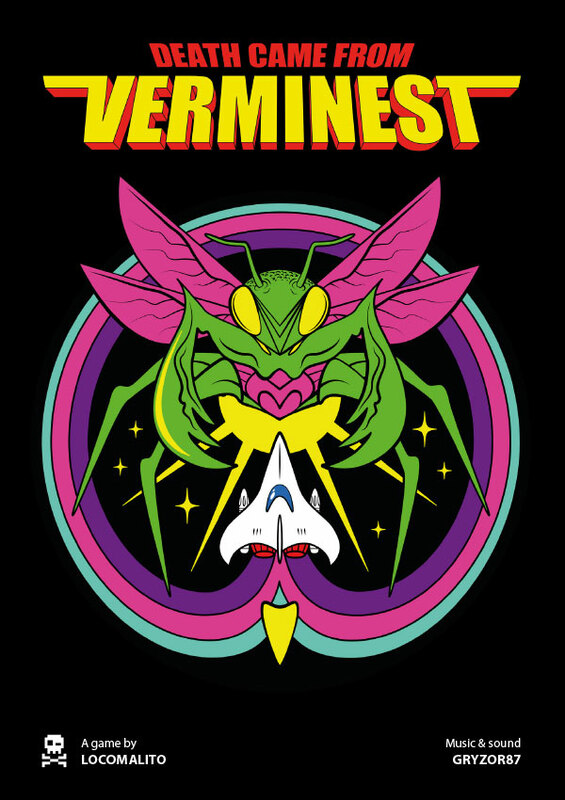 Defend all planets into the infected area, find their headquarters and destroy their leader, the Queen Verminia. 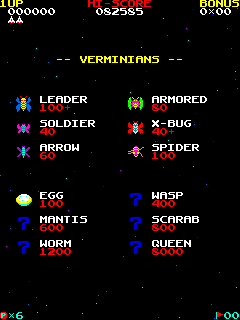 Death Came From Verminest is a fixed shooter strictly designed as a 1981 coin-op game. It fully mimic the technical specs of the time in terms of image and sound, but it goes further with a smooth gameplay and a complex scoring system carefully designed for competitions and tournaments. 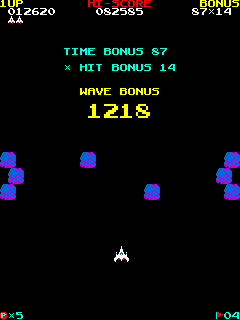 The game follows a sequence of space battles and combat situations on the surface of 6 different planets, each one with unique elements that alter the action. 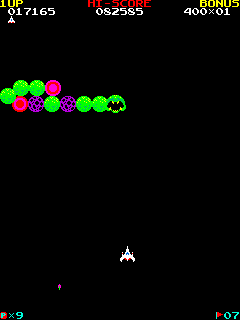 The balance between speed and aim is the key to get the a good score. 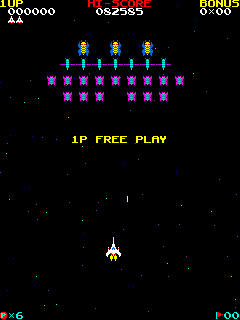 Look and feel of an arcade game from 1981. Exclusive control panel and arts for dedicated cabinets. Scoring system designed for competitions and tournaments. Space battles and over 6 planets with unique rules. 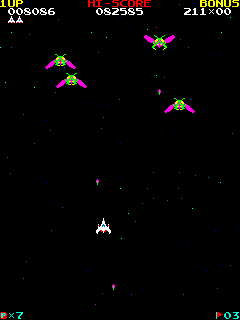 Early fixed shooters like Galaga , Phoenix , Centipede , Moon Cresta , The End , Satan of Saturn , Gorf and others. 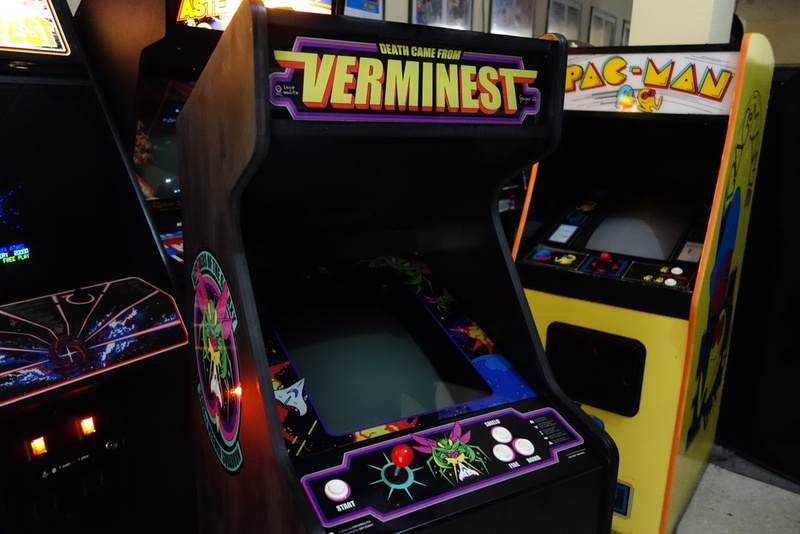 The idea of this project came out after attending the ArcadeCon 2015, the first annual meeting of arcade associations and game developers in Spain. 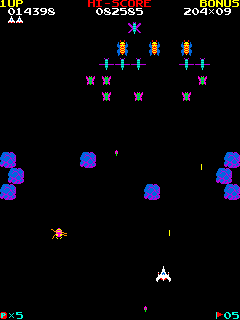 The cultural association Arcade Vintage was the first one to build a dedicated arcade cabinet for the game. 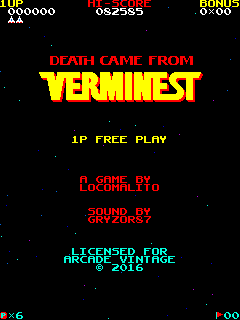 It was officially presented at the ArcadeCon 2016.